What’s it like working behind the scenes of the uSwitch Network of the Year 2018? 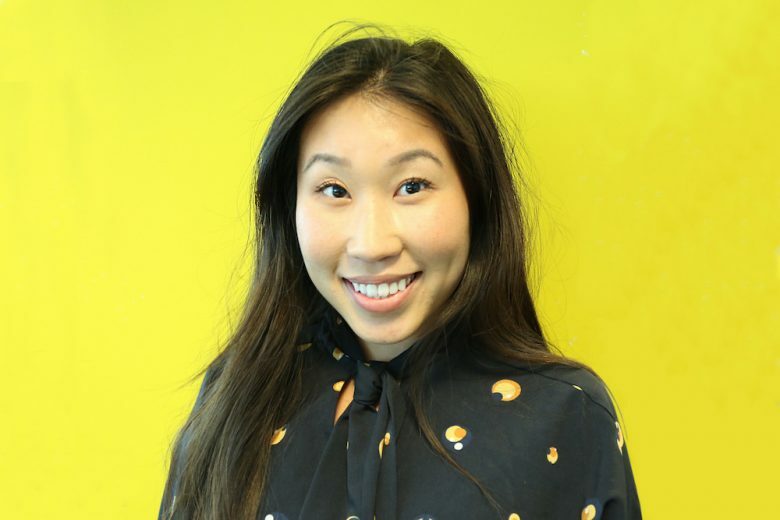 Charlotte Yau shares the inside track on her job as Senior Marketing Exec at giffgaff gameplan. I currently curate and develop the brand of giffgaff’s upcoming digital financial technology venture – creating, improving and maintaining content to achieve the business goals and raise brand awareness alongside building the brand and identity of giffgaff gameplan. What skills do you use and how do they relate to your degree subject? Photoshop skills are very helpful when mocking up ideas, concepts, and designs – I learnt this from my course at university. We were advised to observe and analyse cultural movements/trends/the market and unpick why they chose that colour, that font, those words. Good copy and visual storytelling ability are both so important. Our social heart is won over by content that is relevant and visuals that pull on our emotional heartstrings. The native understanding and ability to manipulate those two elements are important in today’s digital marketing world. We’re currently building an app and new pages for the website, so day-to-day I spend my time working out the content we need for these journeys, looking at how the designs come together. The teams I regularly work with are with UX designers, creatives, our email agency and the content team. I also think about upcoming projects and push forward appropriate actions, reviewing where we are now and where we want to be. After graduating from Nottingham Trent University, I started doing internships/placements in the fashion sector, working as a PR/marketing assistant. I discovered the fashion world wasn’t for me, but I loved the idea of working in communications so I decided to stick with working within marketing. I looked for other roles and ended up working as a marketing exec for giffgaff, working for their upcoming financial tech brand. It’s very different from fashion but has taught me how to manage my ASOS spending. Serious adulting. I recommend spending some time researching interesting talks/conferences/events – that helps you get a broader view of what other companies are doing and a chance to network and speak to people in different roles/sectors. What influenced your decision to move into your current role? I’ve always been a creative thinker and storyteller. However, I’ve learnt that my aim is not to be a creative designer but more of a holistic marketer that oversees design and finds a solution to how a brand tells its story and values. Starting your career and finding your feet is quite overwhelming, but one thing I’ve learnt to overcome is to remember that age is just a number, being young doesn’t make you any less important than anyone else in a meeting room. Your opinions and views are just as important and speaking out helps you build your credibility and confidence. What have you initially found difficult, and how did you overcome those difficulties? Understanding my strengths and building on those – not worrying too much about my weaknesses. Find out what you’re good at and run with those, rather than doubting yourself. How was your experience at Nottingham Trent University? I particularly enjoyed the people on my course and the tutors. This was the time where I learnt how to work efficiently in a group and how to be collaborative within teamwork projects. I also found out my style of working. University’s the time where you find great friends who support you and help you find your strengths. How have these experiences helped you in your working life? I work with a lot of diverse people who have very different characteristics, so understanding how to approach people and find out their way of working is helpful to improve relationships and communicate more effectively. There were loads of societies available, Nottingham Trent is a fab place to find friends and get the support you need. I didn’t really find any specific societies that benefited me, I was either too stressed with university work or too busy sipping gin and juice. Exercise. Even going for a 30-minute jog before or after a long revision session helps with productivity and reduce tiredness. I also suggest doing 10 minutes of meditation beforehand to settle nerves and get you in the right mindset. I love using the app Headspace to help me collect my thoughts, especially when times are stressful and you’re feeling a bit anxious. Being able to have the freedom to run with my ideas and see them come to life at work. It’s lovely to see your work in the final execution stage. There are loads of talented people at giffgaff, speaking to women in management/leadership has been so helpful and motivating. It’s great to see more women in tech/finance and owning big roles. It keeps me driven to aim high and work hard and encourage others to do so. Can you think of any good advice or ways of thinking you’ve picked up? Sit at the table and share your thoughts. Surround yourself with people that motivate, support and drive you to do better. Oh, and before you have to do a scary presentation to a group of people, find a quiet spot to do some power poses to help you feel confident. Arrange coffee catch-ups and get to know people, too. Learning from others is so important. You can find out more about giffgaff on their website.